My Ryobi R1801M router is a piece of crap. I think the intentions of the designers were honorable, but in the interest of economy, they made the screw mechanism which you use to set the depth of the router bit out of plastic. Nothing wrong with plastic of course except that in this case, the plastic of the screw mechanism reacts with the sap in the sawdust and glues the screw mechanism shut so you can no longer adjust bit depth thereby rendering the whole router useless, unless you don't care how deep you rout something. My solution was fairly simple. I took a Dremel tool with a cutoff bit to the router and cut through the plastic screw collar, peeled it loose from the body of the router to which it had glued itself and then was once again able to turn the screw collar and adjust router depth. This operation had all the subtlety of a frontal lobotomy performed with a screw driver, but it was effective. 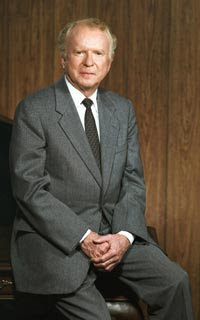 In case you're wondering who Roger B. Smith was, he was the CEO of GM for most of the 1980's. He tried to make GM profitable by cutting down on quality. Given that he was an accountant by training and not an engineer, this no doubt seemed like a reasonable approach to him. If you sell millions of cars per year and you can save a few bucks per car by cutting corners on quality, you can save yourself a few million bucks. No doubt the good folks at Ryobi were inspired by the example of Roger B. Smith and decided to save money by using plastic for the screw mechanism instead of metal, thereby boosting the profitability of the company and the approval of Mr. Smith from beyond the grave. But wait, there's more: I just went to the RYOBI web site www.ryobi.com. This site is even more lame than their power tools. 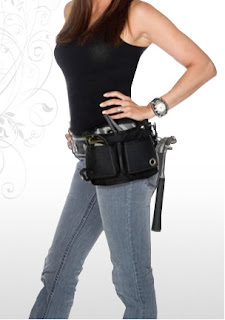 On the other hand, they seem to have hired some American ad agency to sell tools to women and have this woman with the suspect name of Norma Vally who seems to be the mascot for their chixcanfix website http://www.chixcanfix.com/ Picture of Norma below - picture pulled off the website - it comes in three parts, norma_top.jpg, norma_mid and norma_bottom.jpg. Any failure of the parts to align is entirely due to limitations of the blogger software which auto-sizes all graphics. Unbelievable. Well, thanks, you saved me from making a mistake by purchasing one of these! And I agree - what an idiotic ad campaign. Question: Do you think a liberal spraying of silicone on the plastic threads would prevent the problem that you experienced? It will be used as a table mounted unit. I would appreciate your thoughts.